Food Matters A must see film for anyone serious about their health. Although we do not recommend an exclusively raw, plant-based diet, we highly encourage everyone to watch this movie as it very simply illustrates many of the key principles at the foundation of Nutritional Balancing Science. What is Nutritional Balancing Science? Even if we have taken steps to consciously choose healthy foods such as fruits and vegetables according to the US Department of Agriculture, most food today contains one-fourth to one-tenth the levels of many nutrients as the same food grown 100 years ago. This is due to the use of hybrid crops, superphosphate fertilizers, pesticides and other modern farming practices. How is the body’s innate healing capacity able to keep up with such overload to the system? With the unrelenting series of stresses we place on our bodies on a daily basis over years, decades, it is no surprise that so many of us are struggling with diabetes, weight gain, constipation, chronic fatigue, sleep disorders, depression, anxiety and weakened immune systems. We are forcing our bodies to use up all available energy to compensate and adapt to the stresses in our internal and external environments just to maintain “status quo”. A deeper look at this “status quo” reveals dangerously low energy levels, chronic fatigue, and lowered immunity. 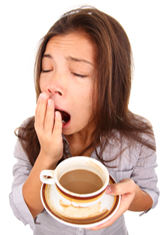 How many of us rely on stimulants such as coffee, energy drinks and sugar to get us through the day? How many also rely on daily medications, tests and procedures just to maintain this artificial health? The homeostasis that the body has adapted to is not True Health. Health is not the absence of diagnosable disease. How many times will tests declare a person to be “healthy”, however suddenly they develop cancer, heart disease, stroke or other conditions? True Health and Wellness is a state of high resistance to ALL disease. Even in the presence of toxicity, infectious organisms and stresses of all kinds, the body has the ability to protect and/or heal itself. How do we create true health & wellness? Many people do not realize that eating “natural foods” can be detrimental to their health if they are eating the wrong foods for their metabolism. For example, a person who is a slow oxidizer and suffers from symptoms related to copper toxicity (an extremely common nutritional imbalance) such as arthritis, anxiety and migraines should avoid all foods high in copper. Although avocados would seem to be a healthy choice, they are very high in copper and would be disastrous to those already overburdened with it. Diet alone cannot undo a deeply set mineral pattern that has been sustaining an existing physical condition. Even if you began a diet and nutrient program specific to your needs today, your body would still be filled with the toxins that have accumulated and been stored in your bones, organs and tissue over the years. Changing to a healthy diet only would actually give your body more energy to dump toxins out of storage sites, overloading the organs of elimination, causing you to feel more sick! Detoxifying the body naturally is essential to any deep healing modality. Equally important is to allow toxic metal, chemical and chronic infection removal to occur in the body’s OWN order and timing (not forced out with chelation or other methods that also deplete the body of vital nutrients). A healthful lifestyle is the most important aspect of maintaining True Health and Wellness. This of course includes plenty of rest, decreasing stress, meditation, limiting toxic exposure, daily sunlight, simplifying all aspects of life, etc. However, it also includes creating and maintaining balance on all levels: physical, emotional, mental and spiritual, while also maintaining right relation with oneself, others and the earth at all times. ready to start your journey to lead a healthy, vibrant, joyful life?